Tackle the toughest detangling challenges with ShowSheen® Detangler Gel, now enhanced with Argan Oil of Morocco. Its pleasantly scented formula nourishes and hydrates manes and tails, while providing a high-gloss and silky finish that lasts for days. Application is a breeze with the infuser applicator that gets the gel exactly where you need it. I thought when I ordered that the bottles were bigger, was disappointed in the small quantity for the price. This is a great product that I have used a lot. 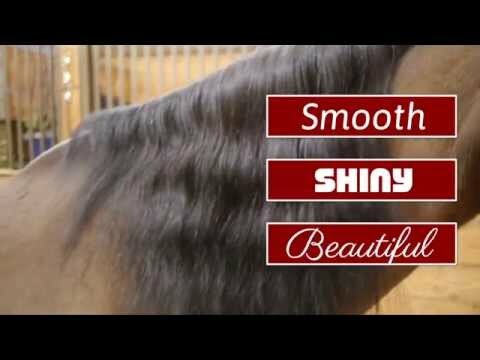 It really helps to remove snarls in manes and tails, leaving them very silky and shiny. It detangles and removes dirt easily and smells very good. I wish it came in a bigger bottle. This is amazing . It takes out tangles in the finest of hair that are wind swirled in knots. I think it works better than cowboy magic. Love this product, helps with the frizzies after braiding and also really works well on detangling. Argan oil is great stuff. It even works on feather.